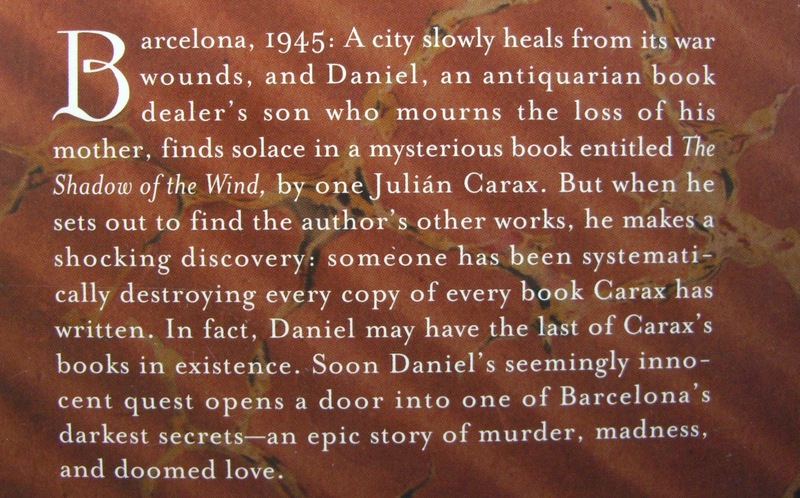 A story about a mysterious book with an even more mysterious author and a boy trapped in middle during post World War II Spain? Sold. What the jacket does not tell you is that the boy, Daniel, discovers the book will wandering through the tall stacks of books in a used bookstore. The owner of the store is the Daniel’s father’s friend who grants him the choice of any book he wishes among his vast collection. Out of the masses he finds this book by Julian Carax. As I read the story I could not help but think about how I found the book and I wondered if there was anyone else who found this book in a used bookstore, on a cart outside a shop, at their local library and felt the magic as they read each page. What moved me the most was the when Daniel reads the novel for the first time. It reminded me of the first time I fell deeply into a story and would not come out until I had finished it. I realized that there is a personal and lonesome quality about books. We invite the story into our minds and let them swim around touching memories and emotions both painful and pleasurable. We read, mostly, when we are alone and in a quiet place and only after we finish reading do we share our thoughts and passion for the story. It is not often that people read to one another. Reading is not like having a dinner party and enjoying a feast and drinks with friend and family. I never read to anyone and when I am reading and when I am done reading I fill pages of my journal with what I liked or did not like about the book. The descriptions in this story are rich in imagination, to the point where I want to find the fictional author Carax and read his work. Zafon has become one of my favorite authors since I finished that first book. Later I shall share with you my thoughts of his first published novel, The Prince of Mist. To learn more about him you can find his website here and a list of his other books here and here. If you have read this book or any other book by him, please share your thoughts. This entry was posted on August 10, 2011 by obgothic. It was filed under 20th Century, Book Review, Books, Fiction, Spanish, Writing . I heard about this book during an english class I took last spring, but finding this book in a used bookstore similar to how Daniel found his book just seems like, well, something out of a story. After reading this I also bought The Angel’s Game and The Prince of Mist by Zafon. The Angel’s Game is as wonderful as this book and also involves the cemetery of forgotten books. 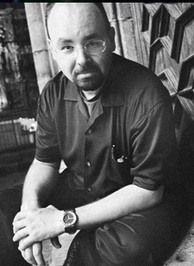 I read online that Zafon has plans to write four books revolving around the cemetery and different characters around the same time, and I’ll eagerly buy the other books as well. The Prince of Mist was an interesting book, but to me it wasn’t nearly as good as The Shadow of the Wind or The Angel’s Game. Thank you for your comments. I agree that The Prince of Mist is not on the same level as The Shadow of the Wind. 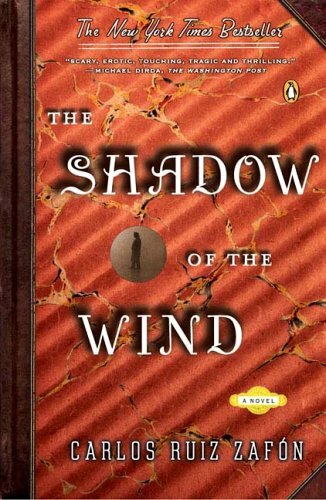 Zafon does not delve into the same depth as he does in Shadow of the Wind, but I think it was a good first book for an author to publish and I can see how he grew to become a better author. I found a copy of The Angel’s Game at the same library book sale earlier this year and have been saving to read when the weather was right. I like to save certain books to read during certain times of the year and his books feel best in mid to late autumn.